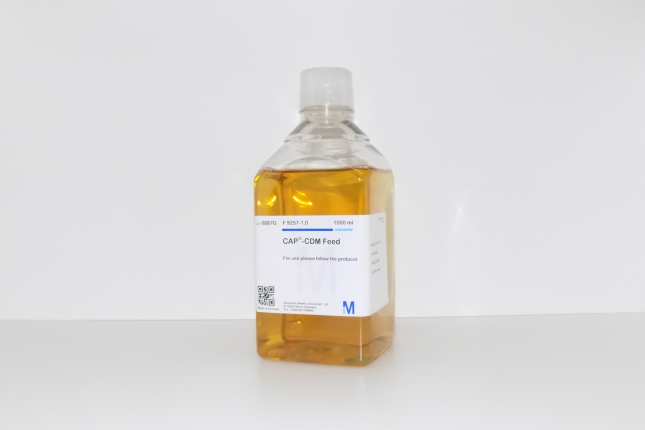 CAP-CDM Feed is a chemically defined feed supplement designed for fed-batch cultivation of Cevec's CAP-Go cell lines. The medium is manufactured by Biochrom GmbH (subsidiary of Merck KGaA, No. : F9257) under ISO 9001:2015. Related links to "CAP-CDM Feed"